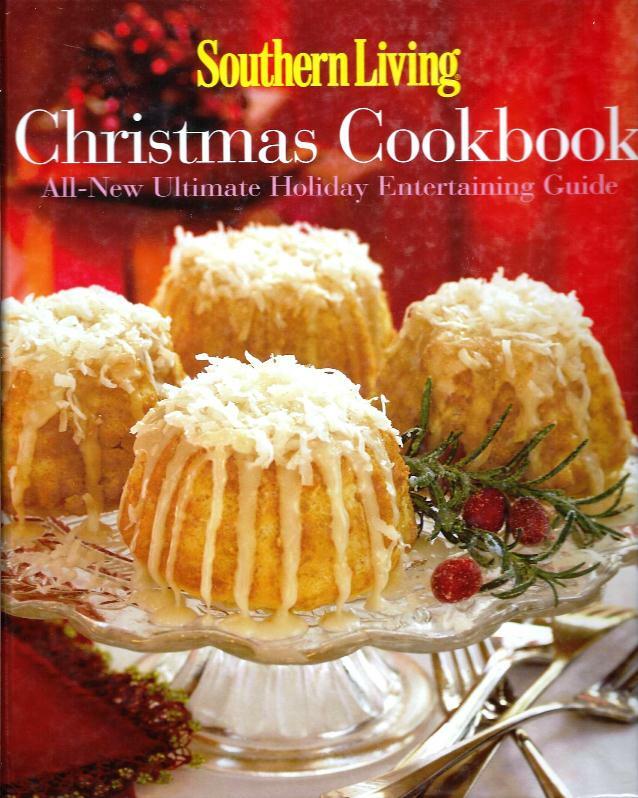 Christmas cookbooks and Southern Living seem synonymous. This version, from 2008, is chock full of beautifully photographed recipes. 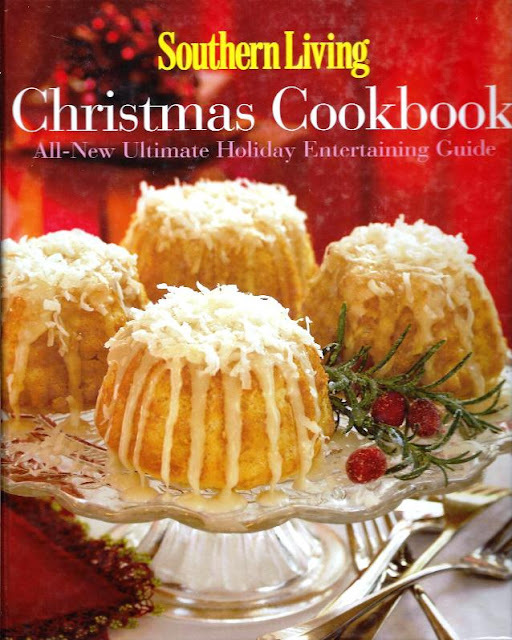 Of course, they describe it as the Ultimate Holiday Entertaining Guide, “Ultimate” being an over-worked word in Southern Living’s vocabulary, but this book almost lives up to it. I liked their menu format…they describe the occasion and give both a menu, a menu preparation plan, and then the recipes. They also have a chapter on fast ideas, food gift ideas, and entertaining ideas, like sophisticated decorating ideas that use what you have, place settings, hostess ideas, and my favorite, party tips to save the day. We liked this book so much, we both have copies. Of course, Myrna had to make the beautiful cover recipe for you, and we tried an assortment of soups, salads, sides, buffet dishes, other desserts, and brunch choices.